The extension work of the Kandana Water Treatment Plant at Kandana, Horana was completed recently providing the southern areas of Greater Colombo, an improved potable water supply service that is able to meet the expected demand in the years to come. The extension work of the Kandana Water Treatment Plant under the Kalu Ganga Water Supply Project was executed by the National Water Supply and Drainage Board and was funded by Japan Bank for International Development (JBIC). Access Engineering PLC jointly with Salcon Engineering Berhad of Malaysia engaged in the construction works related to the extension of the water supply scheme. Under this project, the treatment capacities of the plant and related facilities were expanded to supply 60,000 m3/day of potable water benefiting a total of 250,000 people living in Kesbewa, Piliyandala, Jamburaliya, Kumbuke and surrounding areas in outer southern parts of Greater Colombo. The expansion also caused to reduce the severe dependence on Kelani Ganga water source for the supply of drinking water to the outer southern areas of the city. This expansion results in an extension of the supply also to the southern parts of the city whilst the Kelani Ganga Water Source is left be utilised at its optimum capacity for the benefit of the Northern Part of the city. 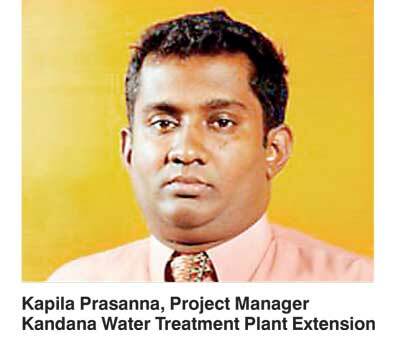 “We are very pleased to be involved in the extension works which has improved the water service of Greater Colombo which directly enhances the overall quality of city life,” noted Kapila Prasanna, the Project Manager of Kandana Water Treatment Plant Extension Project. The work of the project involved the construction of flocculation and sedimentation basins, installation of filtration units and all other civil, mechanical, electrical and Instrumentation Control Monitoring System (ICM) works, construction of concrete and asphalt paved access roads to the water treatment plant as well as construction of an engineering office for National Water Supply and Drainage Board. The completion of this project complements the continuous effort of Access Engineering to uplift the communities address their day to day challenges.